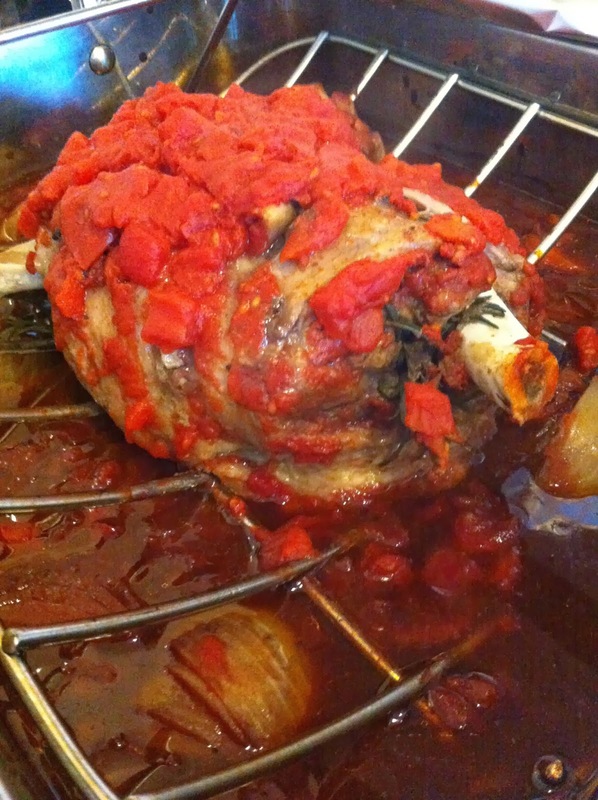 Before the weather gets too warm spring is the best time to cook lamb. 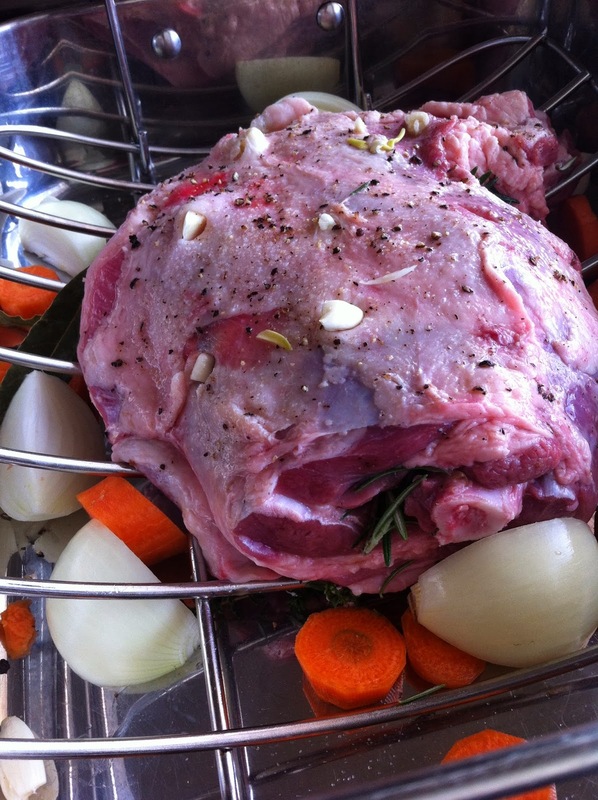 I spied lamb shoulders recently that took me back to my childhood and as they were only $7.50 per kg I couldn't walk past them and decided to buy a couple for a Sunday roast. My mother would always buy shoulder instead of leg when we were living at home - probably for economic reasons but we loved it hot and then cold in sandwiches. So I bought my shoulder vaccum packed and on the back was this basic recipe that I just had to try. 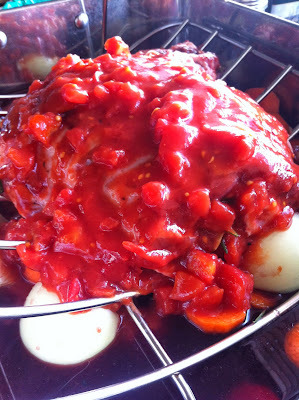 Add rest of garlic, carrots, celery, potatoes, leeks tomato paste and tomatoes to the tray around the meat. Tuck rosemary and thyme under meat. Pour tinned tomatoes over the top and fill tray with red wine. 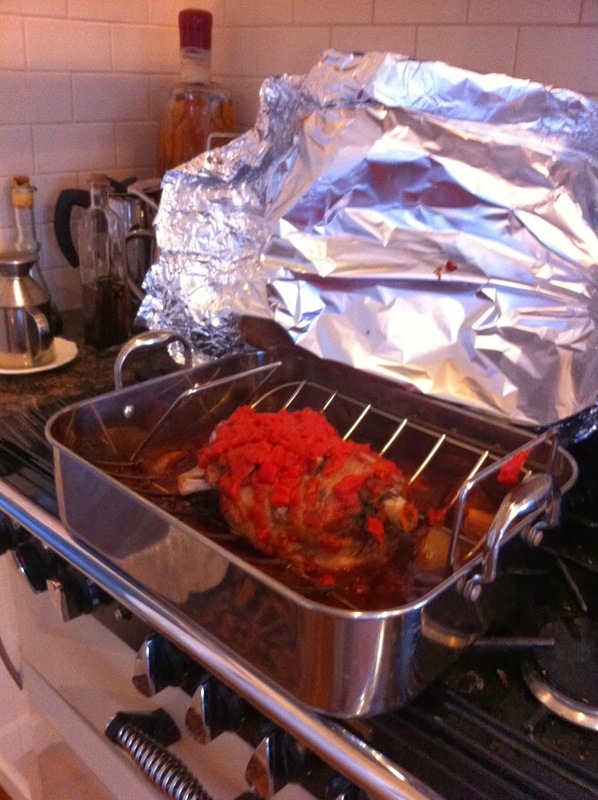 Cover tray with tin foil and roast in oven and walk away for 3 hours ! Remove foil from tray and continue cooking for an additional hour or until lamb is soft and tender. 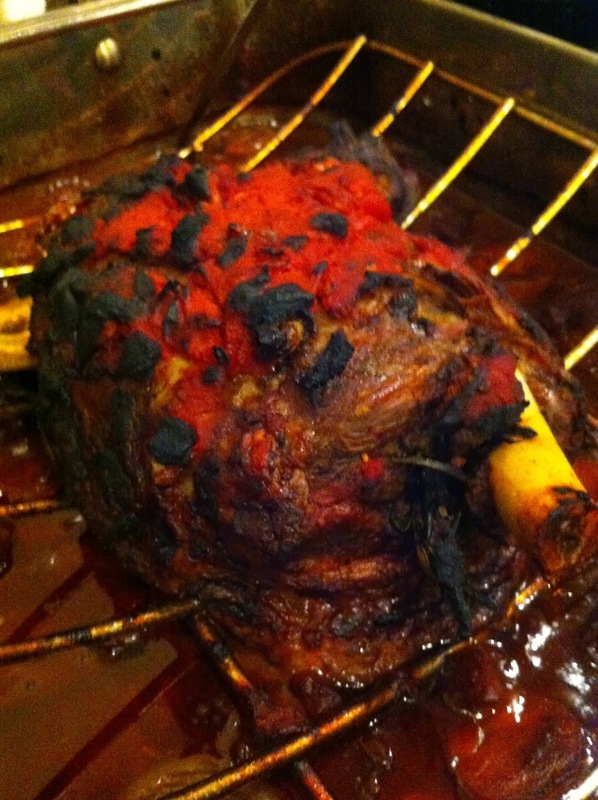 Continue to roast the veg in the red wine until you are ready to serve the lamb. Gently break up the meat pull out the bones! I had great reservations that this would happen, but amazingly the shoulder bone gently came away from the lamb so easily I couldn't believe it. Remove any herb stalks. Season to taste. Serve with the thick vegetable wine sauce and any other vegetables you fancy. This serves 6 and takes four stress free hours to cook - So delicious! I don't eat red meat but think this would work just as well with chicken. This sauce was so delicious I would have been very happy to have eaten it on its own. Maybe I got in before Jamie Oliver did his thing with lamb shoulder the other night - when something becomes trendy that always sparks a spike in price! I am a bargain hunter though, buy it when I see it and throw it in the freezer. Oh this is my type of Sunday roast. Love all the herbs and the tomatoes. Best of all, love that it's quick to put together - most of the work is done in the oven. Me too. A bit of quick prep work and let the oven do its thing.